To help turn your morning into a good morning, Wimpy has partnered with Pick n Pay Smart Shopper. 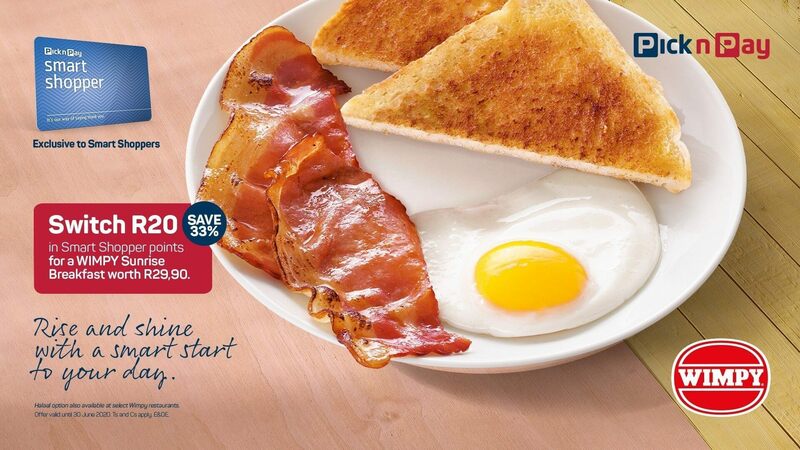 Now you can switch R20 in Smart Shopper points for a Sunrise Brekkie voucher, valued at R29.90! This is open to all Smart Shoppers and is valid until 1 July 2019. So rise and shine with a Smart start to your day at Wimpy.